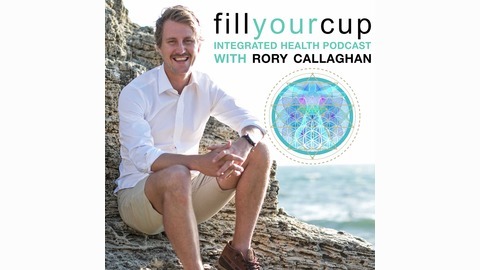 The fillyourcup integrated health podcast is dedicated to finding leading health & wellness experts from around the world who walk their walk and not just talk the talk! 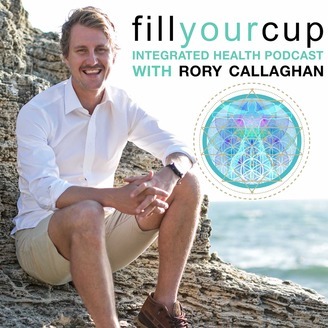 Rory Callaghan, founder of fillyourcup Integrated Health and Wellness, explores and shares the key messages of our guests so you can find and implement the missing pieces of the puzzle in your personal health journey! Whether it’s ancient wisdom or contemporary science, we leave no stone unturned to create a healthier, happier and more connected world. We explore subjects such a diet, nutrition, weight loss, psychology, ayurveda, chinese medicine, meditation, yoga, mindset, spirituality, genetics, lifestyle and environment. If it has anything to do with well-being, it’s on our radar. Make us part of your health and wellbeing journey so that you too can fill your cup daily and let that overflow into the people around you. 2:47 - Stuart initially started personal training and explains how he found yoga. 4:37 - Stuart touches on the Flow Festival. 5:20 - Stuart explains that yoga isn’t for everyone and at their Flow Festival they employ other meditative practices and other nutritional practices. He also explains that the Flow Festival is also about including indigenous Australians. 9:57 - Cam explains how through the Flow Festival he gets to expose to society something that they have yet to experience or encounter through their lives. 12:16 - Cam explains how he and his brother would play music together when they were younger and how it’s been interesting them working together with music from their Flow Festival. 15:09 - Cam explains the idea behind the Flow Festival and how it brings together various disciplines, e.g. yoga, chiropractic or physio, energetic healers, nutrition, etc. He also explains how the Flow Festival is unifying the different disciplines rather than it being about which one is right or wrong. 17:10 - Cam explains that the ‘ideal’ audience for Flow Festival is for everyone and anyone and could appeal to a wide audience. It’s a completely different type of festival to what people are used to so he suggests going in with an open mind and embracing the uniqueness.